As Pitri Paksha has ended; the beginning of Devi Paksha has left us ecstatically waiting for the start of Shashti! We will be celebrating COMMUNITY MAHALAYA jointly with BASC at 6:30 AM this Saturday, September 23rd at Bharat Sevashram Sangha West in Brea. Please note that, headcount is important in order to avoid shortage or wastage of food, hence your RSVP is highly appreciated. 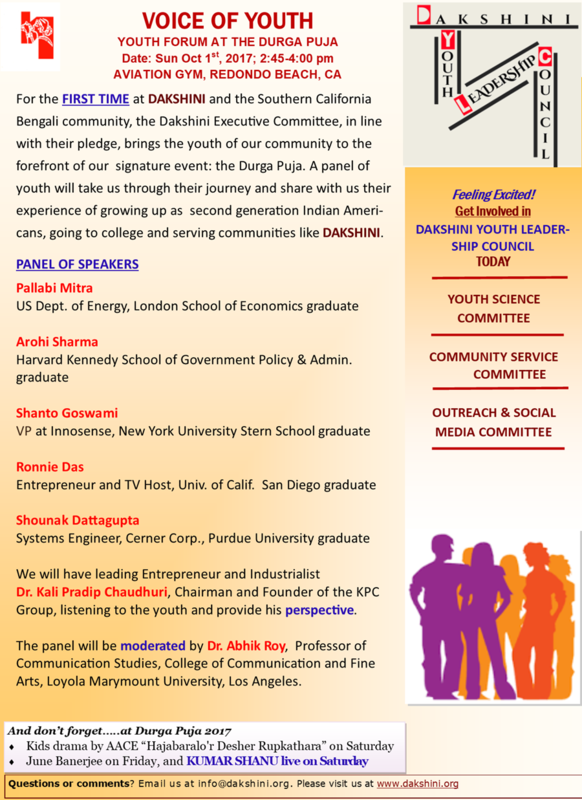 DURGA PUJA RAPID REGISTRATION: Last date for online registration is this Saturday, September 23rd, so after this weekend, the option to register online will be unavailable. 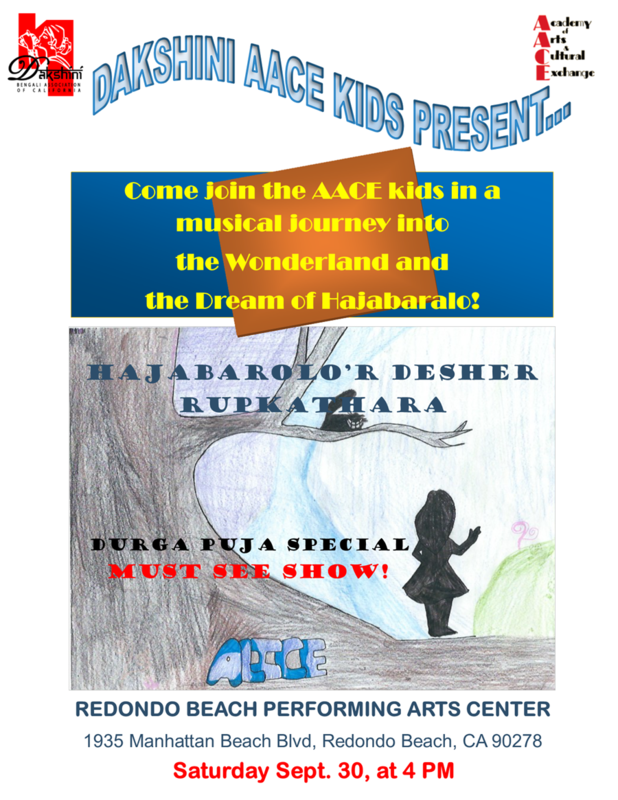 Fresh reservations will be available only at the registration and welcome desk at Dakshini Durga Puja venue at Redondo Beach Performing Arts Center. Help needed for the victims of Hurricane Irma: Sagnik Chakraborty, Dakshini community youth member is raising funds for victims of Hurricane Irma with the American Red Cross. Please find the details of the campaign in the link below. Please help Sagnik raise funds for Irma.